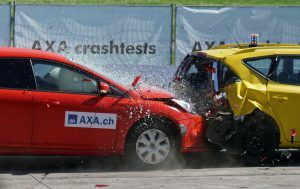 Advanced safety features may not help you save on car insurance. The latest safety features such as front radar and side mirror sensors are a wonderful addition to automobiles. But they’re unlikely to save you much on car insurance. That’s because, while they unquestionably reduce the risk of accidents, and injuries and deaths as a result of accidents, they also drive up the cost of repairs. Car insurance companies have to balance all of those issues when setting premiums. If you’re asking what’s the worst that could happen, don’t worry. AAA gave some pretty brutal examples. A broken front radar sensor, necessary for automatic emergency braking and adaptive cruise control, can tack on an additional $900 to $1,300 to your repair bill. Rear radar sensors used with blind spot monitoring and rear cross-traffic alert systems can tack on up to $2,050. Ultrasonic sensors used with parking assist systems can run you upwards of $1,300. The list goes on. Busted parking cameras can set you back a grand apiece, but may set you back more if they’re used for lane monitoring, emergency braking, or adaptive cruise control. For the vehicles in AAA’s study, the repair bill for a minor front or rear collision on a car with a good amount of advanced driving aids would run as high as $5,300, almost two and half times the repair cost for a vehicle without these systems. As in other aspects of car insurance, it pays to be aware of such costs, and to get the help you need to get the most cost-effective coverage. At Seeman Holtz Property and Casualty, “We will start by analyzing your current auto insurance policy and offer independent, objective advice. If in fact changes need to be made, or if you need a brand new policy, we will secure quotes from the best national auto insurance carriers across the nation to make sure you receive the most extensive coverage at the best rates possible,” we spell out on our website.